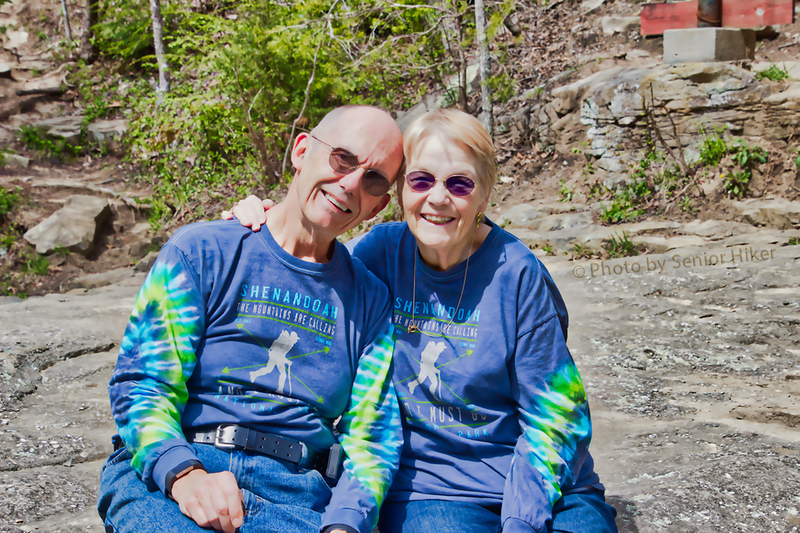 As many of you know, Fall Creek Falls State Park is a special place for Betsy and me. We had our first ‘real’ date there on April 21, 2001, It was there that we began our waterfall ‘collection’ and, more importantly, it was there that I got my first kiss from the wonderful woman I was with. For these reasons we go back every year on April 21 to celebrate. Things were a little different this year. 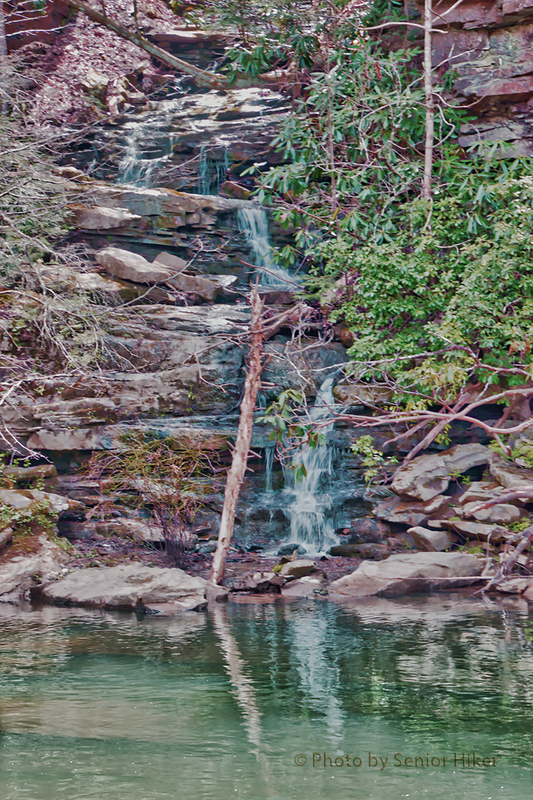 The park is undergoing some major renovations and health problems kept us from doing the hike we normally do when visiting the park, We were, however, able to visit Cane Creek Cascade. The picture above was taken near the top of the cascade. Because of the work being done, a new trail was created from the parking area to the swinging bridge above the cascade. We were treated to a new (for us) waterfall along this trail. It wasn’t very big, but we were still delighted to be able to add it to our collection. 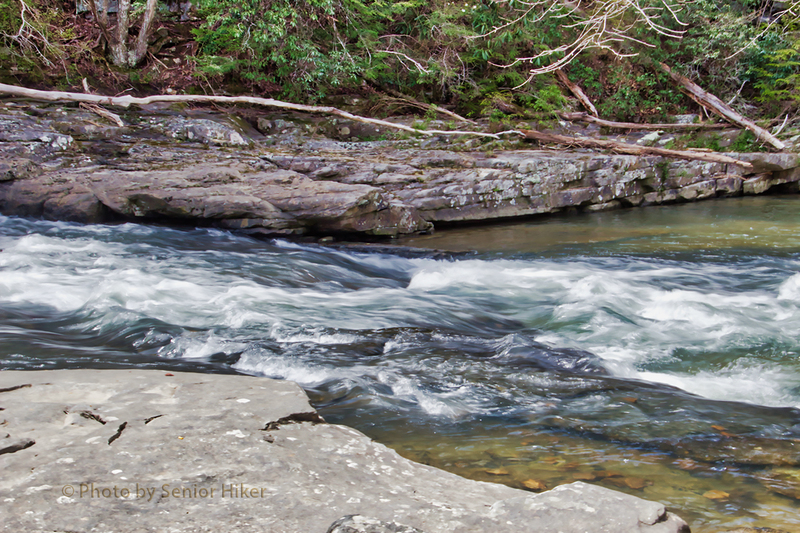 The trail followed Cane Creek for a short distance, and we were able to enjoy the beauty of the flowing water. Passing under the swinging bridge, we can to a place where we could watch the sparkling water tumble down to the pool below. But I still think the loveliest sight in Fall Creek Falls is my Beautiful Bride. This entry was posted on August 28, 2018 at 2:29 am and is filed under American Life. You can follow any responses to this entry through the RSS 2.0 feed. You can leave a response, or trackback from your own site. Great post George – so good you guys found each other. 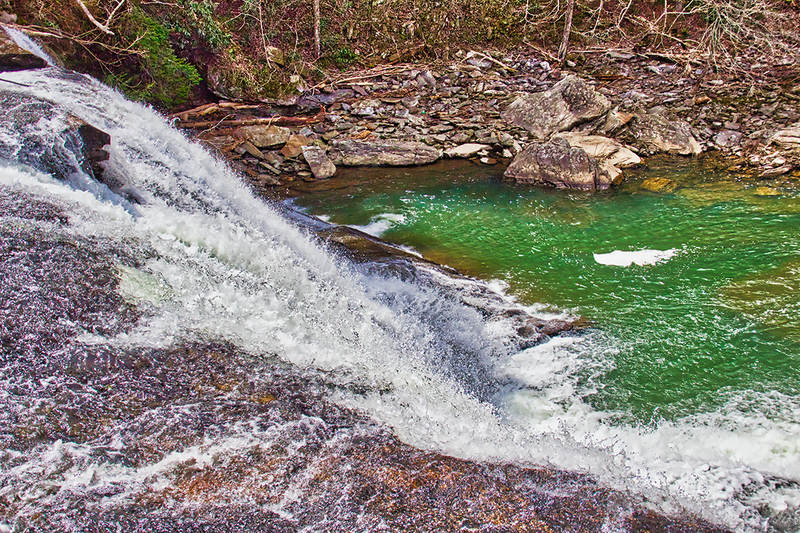 Ah—–love Fall Creek Falls—especially on April 21, 2001 —and every year following!!!!!!! Let’s go back and check out that ‘new’ waterfall AFTER we have had a lot of rain!!!! I love those tie dyed shirts! So glad you were able to make it again this year, even though there were some changes. The waterfalls and other pictures are beautiful, but Betsy’s smile is the winning picture. Of course she’s beautiful and another nature made wonder 🙂 Lovely capture and cascading falls. 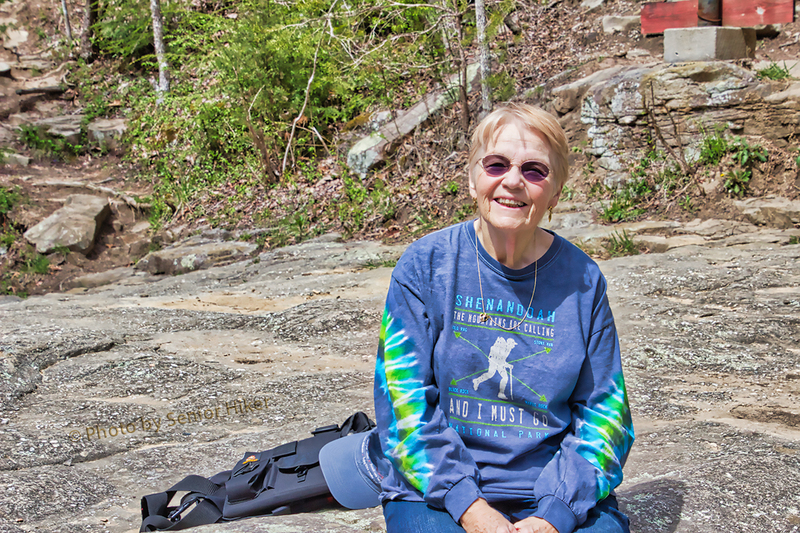 Glad you got hike new trail as compensation for missing fall creek falls. Your story is lovely. I am happy for You both. You are such a romantic. Lovely to see in a man. Your photos are beautiful and so is your bride.